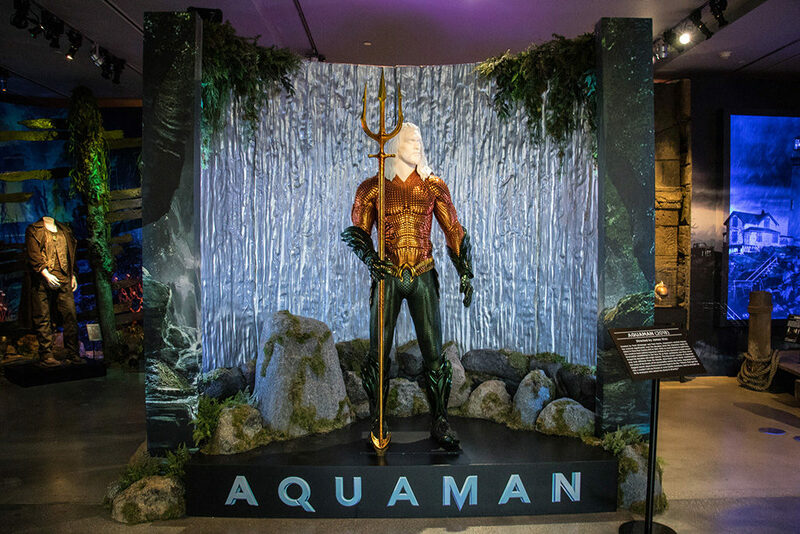 Aquaman The Exhibit is the latest edition to the Studio’s Archive. 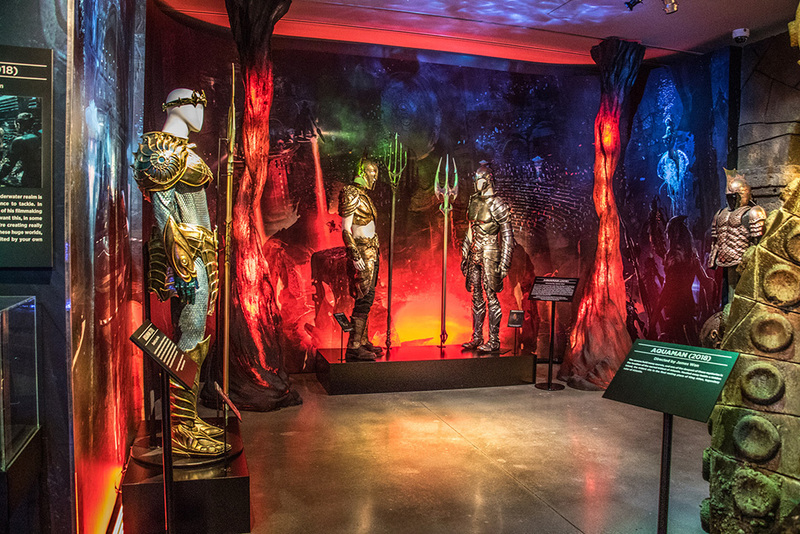 Fans can now immerse themselves in the world of the King of the Seven Seas with this all-new interactive exhibit as they journey through the visually stunning underwater world of Atlantis brought to life on-screen in vivid detail. 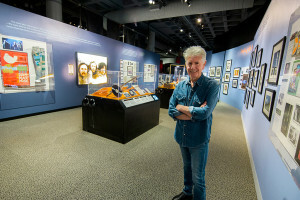 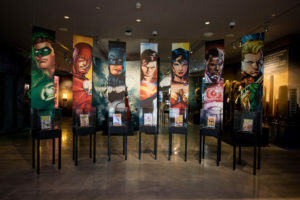 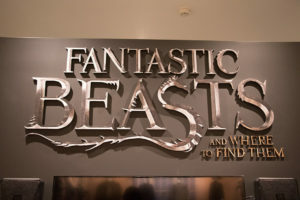 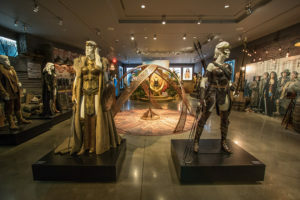 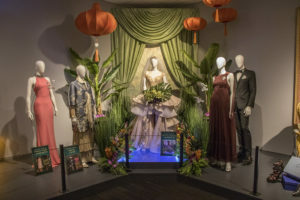 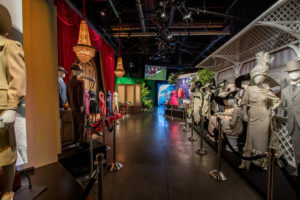 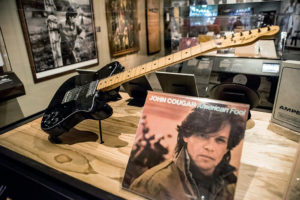 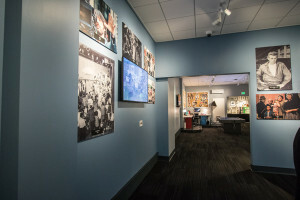 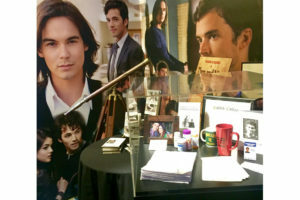 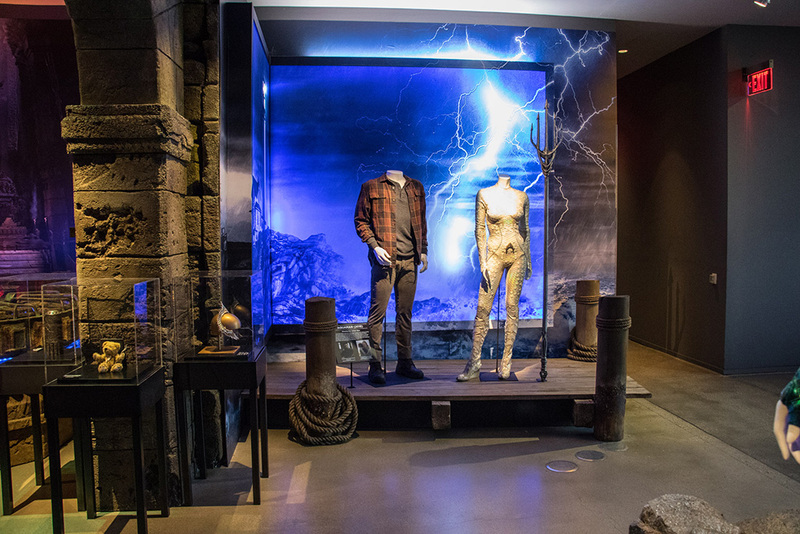 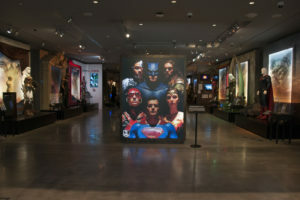 The exhibit features authentic props and costumes worn by Jason Momoa, Amber Heard, Nicole Kidman, Patrick Wilson and recreates sets from the most memorable moments of the film, including the Sunken Galleon, and the Ring of Fire, reliving the thrill of the epic underwater battle between Aquaman and King Orm. 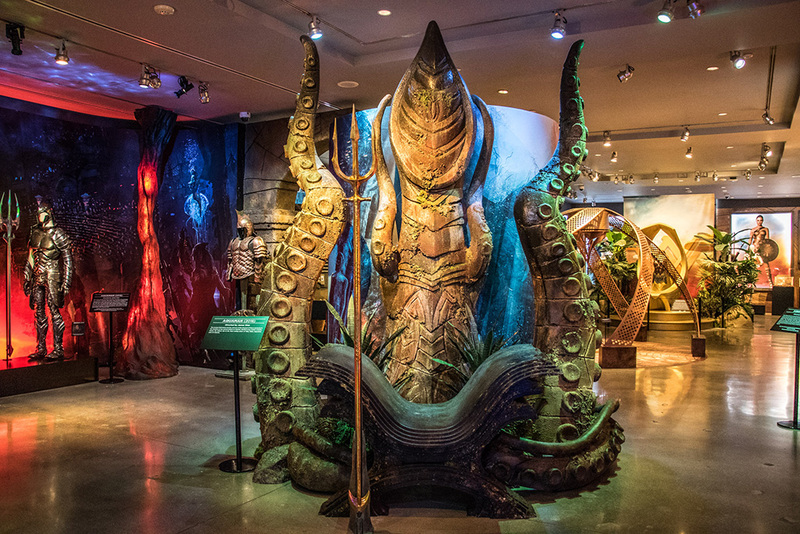 Additionally, an interactive photo op was created so fans can sit upon the Dead King’s Throne (seen in the film) to become King or Queen of Atlantis. 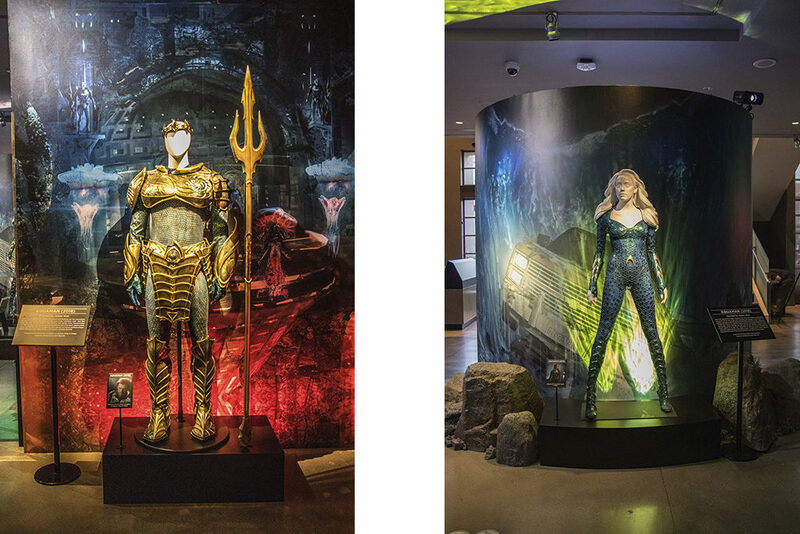 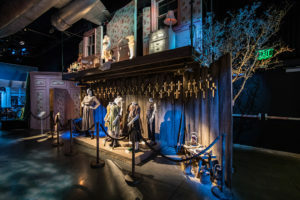 The WB Design Studio sculpted and scenically painted the throne, created immersive backings with underwater effect lighting, and constructed platforms and cases to highlight each key item on display.